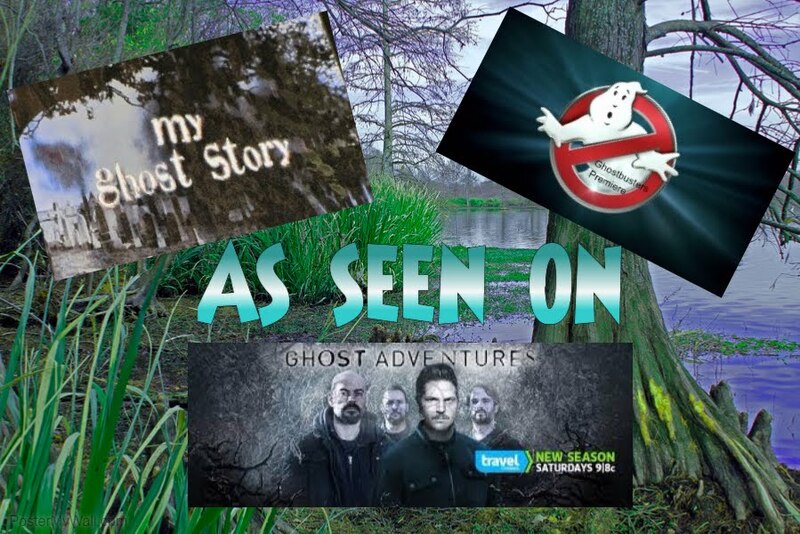 Becky Vickers(BECKS) - Everyday Ghost Hunters/Goatman's Bridge Ghost Tours: HIGHWAYS GHOSTLY HITCHHIKERS-NEED A BACKSEAT DRIVER???? HIGHWAYS GHOSTLY HITCHHIKERS-NEED A BACKSEAT DRIVER???? Happy New Year everybody!!!!!!!!!!! I hope you have a wonderful and safe new year!!! For most of us, driving down a highway is nothing unusual. And when we get to where we're going....it is pretty much but forgotten about the road we just traveled. But when darkness comes, the highway that brought us such enjoyment now brings us stories of ghosts, hauntings, and the supernatural. Wait??? Was that the shadow of the trees....or something more sinister? 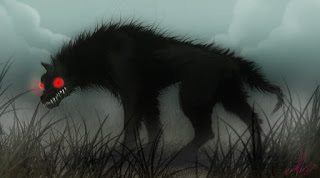 Whether it is vanishing hitchhikers, street walkers, phantom travelers, or lost souls, you are bound to hear story after story of haunted highways. I think one of the most common tales is that of the Phantom Hitchhiker. 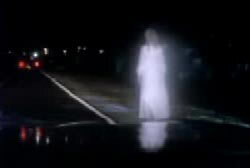 Phantom travelers are ghosts of humans, animals, or even a vehicle that appears along a roadway, trail, or at a rest stop. 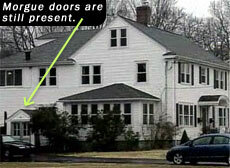 The haunting is usually associated with a tragedy, an anniversary, a wrongdoing, emotional turmoil, or some other connection with the specific location. The tale of the phantom hitchhiker-a ghostly figure that enters your vehicle, only to suddenly disappear without warning-is an archetype and the most common of all ghost travelers. 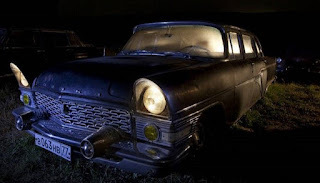 Lets say you are driving down a long, dark highway and the headlights of your car provides just enough light that you are able to make out a figure standing on the side of the lonely rode. What the heck??? Why would ANYONE be out in the dark by themselves late at night???? Well for whatever reason you pull over to see if you can help. As the figure peers in your car window they ask if you could give them a ride to a certain address. You gladly agree. You have a nice conversation on the way to the location. Suddenly, you reach the address and you stop and turn to tell the passenger you made it...........and without any warning.........the ghostly figure is gone. So, I'm sure you all have heard of the most famous story of all.............. Resurrection Mary. The story goes that around 1939 the ghost of a young girl with long blond hair and blue eyes, dressed in white, started appearing along Archer Avenue between Willow Springs and Justice, Illinois. She would suddenly materialize in the middle of the road. Some motorist claim their cars passed right through the girl. If you were brave enough to stop, she would softly ask to be taken to OH HENRY PARK, where she could be seen dancing throughout the night. When the dance hall would close she would ask someone at the dance hall for a ride. Sometimes she would ask to be let out Resurrection Cemetery. Then she would open the gates and disappear. Now, NOT all highways are haunted by apparitions of people.......motorist have reported seeing ghostly headlights.....spooky animals....even phantom cars and trucks. For whatever haunts these dark and lonely highways....we may never be able to prove exactly why they are there. And lets not forget Highway 666 has been hailed as one of the most haunted places in America. It is located in the region that is identified as the “Four Corners”. Many know the “Four Corners” as the States of Utah, Colorado, Arizona, and New Mexico – not the entire states, only certain geographical locations of each state. In the year of 2003, the United State renamed the ominous highway to U.S Route 491. Christians believe that the number that is reflected in three sixes represents what they refer to as the “Number of the Beast”. 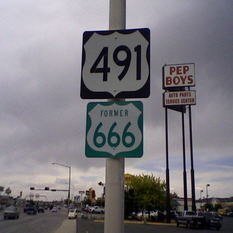 When this highway was under its assumed evil number identifier, many referred to it as the “Devil’s Highway”. Based on statistics, there were an unusually high number of accidents and fatalities on this road when it was named 666, so many gained the belief that anyone that traveled on this road would immediately be cursed.